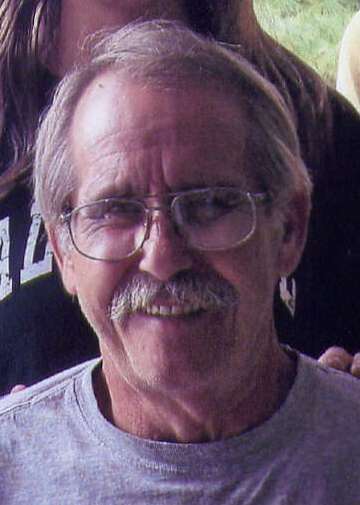 Eddie Guy McCullough, 68, Rochester, passed away at his residence at 10:28 am Saturday, August 18, 2018. He was born September 22, 1949 in Coloma, Michigan to Orbie and Sylvia Christine (Finley) McCullough. Growing up he was the oldest of four children and enjoyed his time as a child growing up with his brother and two wonderful sisters. After graduating Rochester High school in 1967, he attended Ball State University for two years studying theater. In 1971, he and his first love spent time in Germany where he enjoyed the culture and learned the language fairly fluently teaching his grandkids words and phrases many years later. From there, he took many ventures in life starting with photography in the metropolitan area of Chicago. He then worked in various areas of construction and landscaping in Indianapolis until coming back home to Rochester, IN where he met and married Cheryl Fleck in 1979, beginning the adventure of having a family with three very loved children. Eddie worked in many areas that fit his interests throughout life. He worked for the Fulton County Public Library for 10 years as the maintenance and grounds leader. He then spent almost 10 years employed with Enyart’s True Value Hardware in Rochester before deciding to be an independent contractor specializing in electrical, new construction and plumbing. After retiring from construction, he spent an extensive amount of time building replica barns, dollhouses and furniture restorations. Eddie enjoyed many activities and hobbies such as fishing, carpentry, reading National Geographic and most of all, spending time with his friends and family. His greatest passion in life was helping, and mentoring his children and grandchildren. His family and close friends were always his first priority. Eddie could relate to anyone he encountered and had a way of making those around him feel appreciated and welcomed. He built some of the best friendships throughout his life. His passion in theater and the arts encouraged and influenced his only daughter to fulfill her dreams in creating dance recitals for children around Rochester. He will always be remembered for his caring compassionate nature, positive attitude, and love for those around him. Surviving are his three children, Benjamin McCullough and wife Ericka McCullough Warsaw, IN, Elizabeth McCullough, Akron IN, and Michael McCullough, Virginia Beach, VA, three grandchildren, Taylor McCullough, Drevyn McCullough and Rachelle McCullough and two sisters, Linda (Charlie) Louthen, Tipton, IN, and Brenda Carol (Greg) Henry, Winamac, IN. Preceding Eddie in death are his parents, Orbie McCullough and Sylvia Christine Ellis, sister Charlotte McCullough and brother Porter Rodger McCullough.